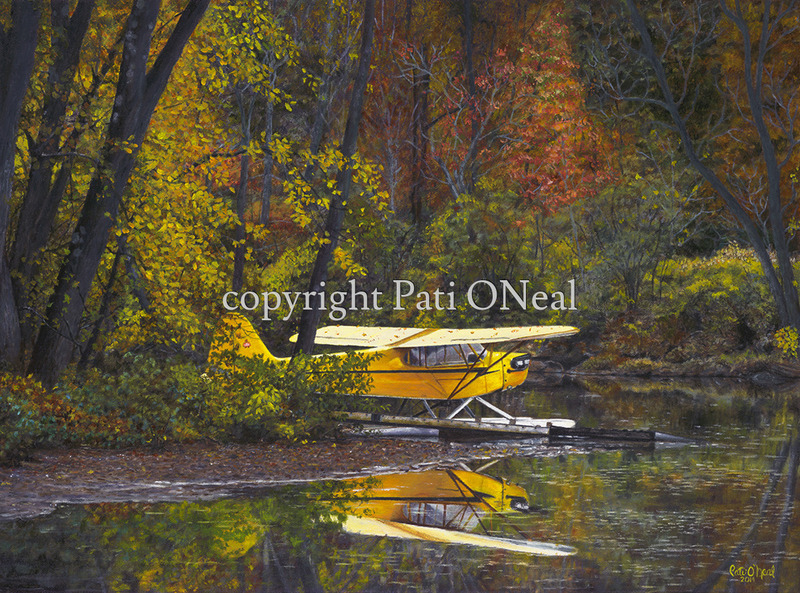 A Piper J3 Cub on floats completes a perfect autumnal idyll. This painting was accepted into the juried 2014 American Society of Aviation Artists International Aerospace Art Exhibition at the San Diego Air and Space Museum, where it won an award in the General Aviation category. Framed original oil on canvas has been sold, contact the artist for a similar commission. Limited edition giclées and matted mini-prints also available.